PALO ALTO, Calif., August 31, 2015 – WebAction, Inc., provider of the end-to-end platform for streaming data integration and operational intelligence, today announced a run of three big wins with the appointments of Katherine Rincon to vice president of marketing, Rick Ainsworth to vice president of channels, and Ediz Ertekin to senior vice president of sales. These appointments provide WebAction with an infusion of deep domain and functional expertise that spans data integration, real-time processing, and streaming analytics. As the first executives to join the company’s elite founders, the trio is tasked with bringing to market the only enterprise-strength, end-to-end streaming analytics solution that makes data useful the instant it’s born. Rincon brings over 20 years of marketing leadership experience at rapid-growth companies. Most recently, she was vice president of marketing at PubNub where her marketing efforts drove a dramatic increase in monthly pipeline for the company’s subscription-based, global realtime network. Prior to PubNub, she served as vice president of marketing at AltoWeb, Embarcadero Technologies, Cape Clear Software (now Workday) and SL Corporation. Earlier in her career, she held executive-level marketing positions at WebLogic and BEA, where she founded and grew BEA’s dev2dev developer community to 425,000 developers. Ainsworth brings more than 25 years of experience in sales, channel and business development. Most recently, he served as vice president of worldwide sales at AccelOps. Previously, he served as vice president of sales, EMEA at Oracle. In that position, Ainsworth created Oracle’s Data Integration Solutions division, managing data integration, sales, presales and business development across EMEA. Prior to Oracle, he led worldwide sales at GoldenGate Software (acquired by Oracle in 2009) where he developed and executed a multi-faceted go-to-market strategy. Earlier in his career, Ainsworth was vice president of worldwide sales at ACI Worldwide. Ertekin brings more than 20 years of experience managing field organizations in business intelligence, analytics and integration markets. He is a specialist in building sales and service operations. Most recently, Ertekin served as vice president of field operations at SnapLogic, heading up sales and strategic partnerships worldwide. Prior to SnapLogic, he was general manager and vice president at Verix where worked with enterprise clients to develop sophisticated predictive analytic, monitoring and alerting solutions. Ertekin also was the first European employee at Informatica, serving as the vice president of sales. Rincon, Ainsworth and Ertekin join a highly regarded leadership team of industry veterans including Ali Kutay – Chairman, President and CEO, Steve Wilkes – Founder and CTO, Sami Akbay – Founder and EVP, and Alok Pareek, Founder and EVP of Products. These founders are well-known for building several successful companies including GoldenGate Software (acquired by Oracle in 2009) and WebLogic (acquired by BEA in 1998). WebAction makes data useful the instant it’s born. Brought to you by the core team behind GoldenGate Software, the company provides the only enterprise-strength, end-to-end solution for streaming data integration and operational intelligence. 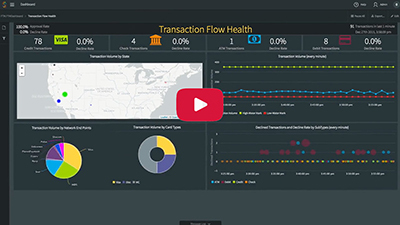 WebAction specializes in complex, multi-stream data integration and streaming Change Data Capture (CDC) across a wide variety of data sources including transaction/change data, events, log files, and IoT sensor data. With data pipelines in place, the WebAction platform makes it easy to detect anomalies, identify and visualize events of interest, and trigger alerts and automated workflows, in-time and in-context. WebAction is headquartered in Palo Alto, CA. Please stop by our offices, or visit WebAction online at www.webaction.com, LinkedIn, Twitter, and Facebook.